Not to say he’s phoning it in on this, his 34th studio album, but on the record’s final track, “Behind the Ritual,” Van Morrison simply sings five lines of “blah, blah, blah, blah” – quote unquote. Van the Man has a reputation for stream-of-consciousness, but it’s a bit much. “Keep It Simple” isn’t as lazy as all that, but it’s a pretty easygoing affair – and by no means unpleasant. Morrison has gone out of his way to challenge listeners in the past, so the loping blues of “How Can A Poor Boy?” is a welcome respite. The many strands of influence that inform the Morrison muse are all present here. The gentle ballad “Lover Come Back” blends Celtic echoes with gospel soul. “No Thing,” sounds like it was lifted from a mid-1960’s Ray Charles album – no surprise considering his last disc, “Pay the Devil,” was a modern-day doppelganger for Charles’ two “Modern Sounds in Country and Western Music” records. “After many demands, I’ve destroyed all my plans,” he sings on “End of the Land,” and for much of “Keep it Simple” the finicky Irishman is playing to the mirror, fashion be damned. In anyone else’s hands, that would be a disaster, but he manages to pull it off. Other highlights include the banjo-driven “Song of Home” – though the fiddle’s a bit too buried for these ears. The jazzy, go with the flow “That’s Entrainment” best sums up the record’s toss-it-all demeanor. 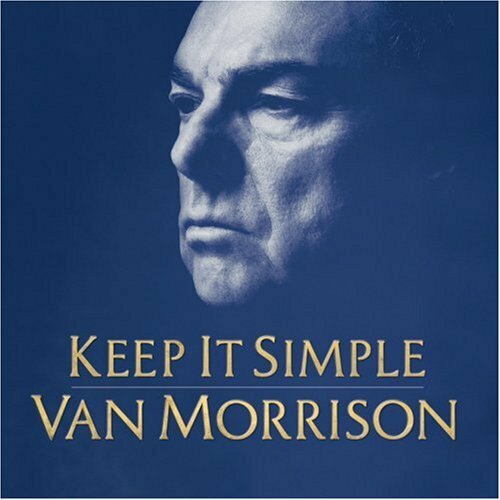 “Keep It Simple” is as fickle as Van Morrison’s mood; he’s not stretching out, breaking into a trot or even breaking a sweat. But it’s all quite enjoyable nonetheless.